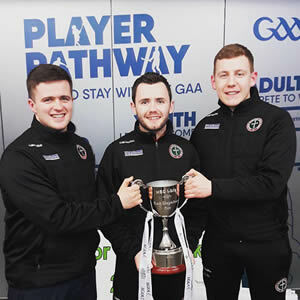 It’s now a “Triple Crown” for the Gaelic games community of St Mary’s. 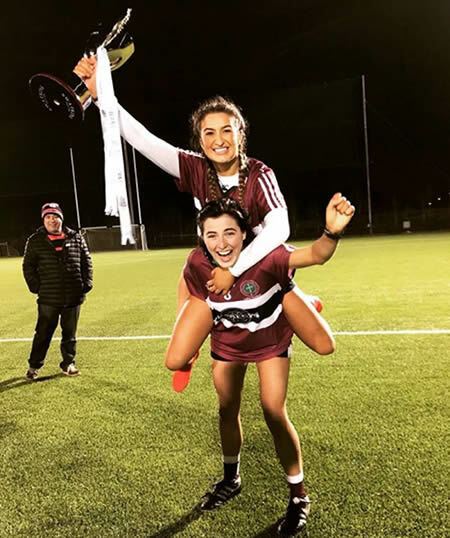 Following the All-Ireland success of the camogie and hurling teams in February, the Ladies Gaelic Football team won the Gourmet Food Parlour Moynihan Cup at Abbotstown, Co. Dublin on Saturday, 10 March. 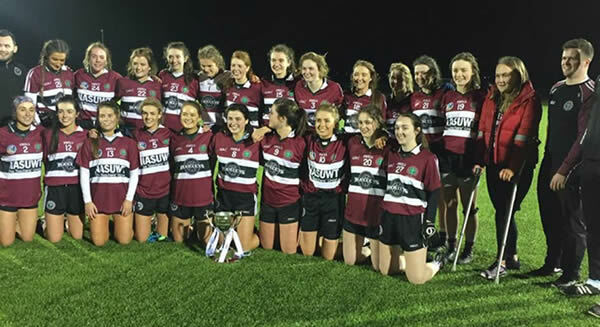 St Mary’s defeated the Tralee Institute of Technology in the final with the only goal of the game coming from Meabh McGleenan. 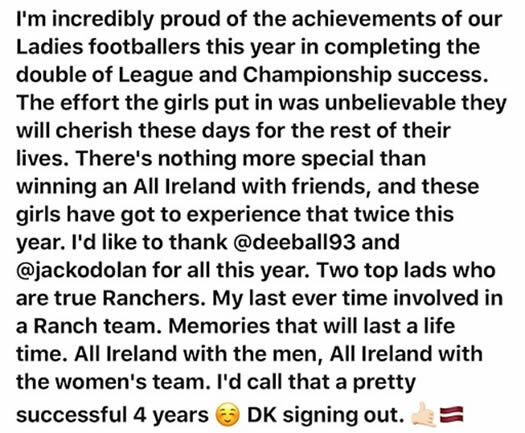 The team had overcome Dundalk Institute of Technology in the semi-final. 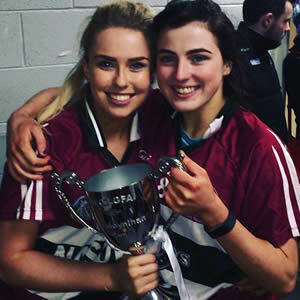 The cup was presented to the St Mary’s captain, Aine McAlister, who is a final-year student studying Education with Music. 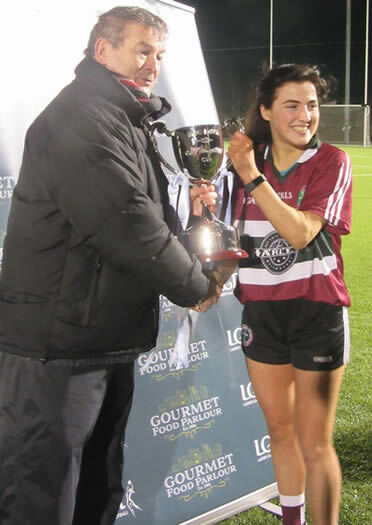 Roisin Devlin, a first-year student studying Education with Religious Studies was awarded “Player of the Match”. 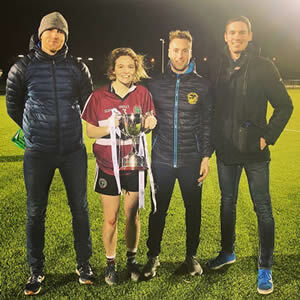 A unique feature of the victory is that three of the players’ fathers contested the Sigerson Cup Finals for St Mary’s and Ulster University in the 1980s and early 1990s—Peter Canavan, Dermot McNicholl and Matthew McGleenan. 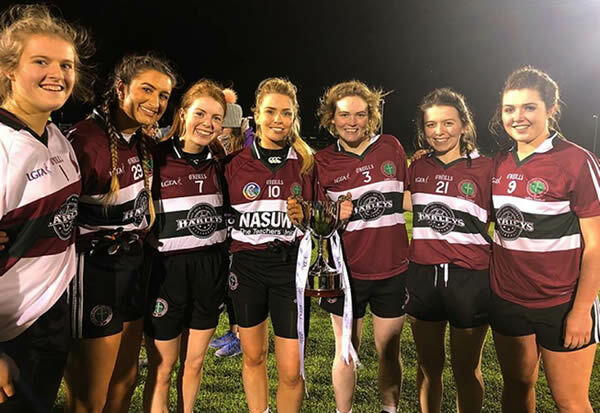 Representatives of the Ladies’ Gaelic Football team will join those from the camogie and hurling teams at a reception in Belfast City Hall on 24 April to be hosted by the Lord Mayor, Councillor Nuala McAllister. The College will host a special event on 9 May to celebrate the dynamic student life at the Falls Road Campus. 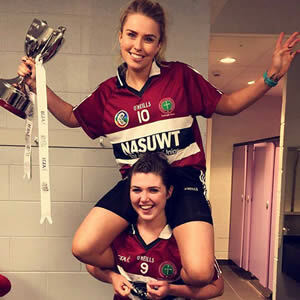 The event will provide an opportunity to highlight student success in sport this year. 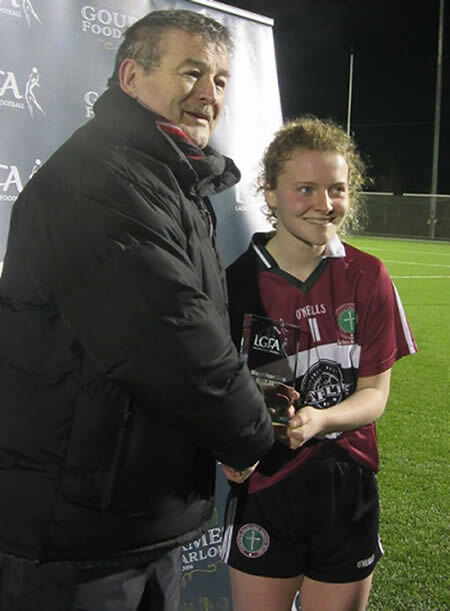 Roisin Devlin was awarded “Player of the Match”.